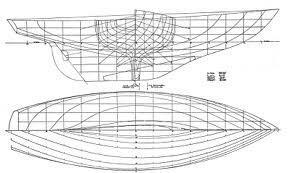 Lofting is the process of drawing a boat full-size from blueprints and/or the table of measurements, called offsets. Lofting is a key procedure to building any wooden boat. It is used for the purpose of being able to lift patterns off the full drawing to make components, such as building boat moulds, keel and stem, etc. The term lofting comes from the traditional location where lofting was done, usually in a loft or the upper area of a building that had a clean and open floor space. While this process has often been shrouded in mystery and confusion, lofting is not as complicated as we’re led to believe. This intensive, five-day course will show how simple lofting can be. Each student will loft a small ½-scale boat that will show all the fundamentals needed to know when building their own, or a customer’s boat. Tuition and Class size: This class is an on demand program and either taught one on one, or as a scheduled group class, by the hour or a structured 5 days for $850. The maximum number of students is 6. Materials and tools: The school will provide all hand/power tools and machinery necessary, as well as a printed or PDF version of the course handouts.